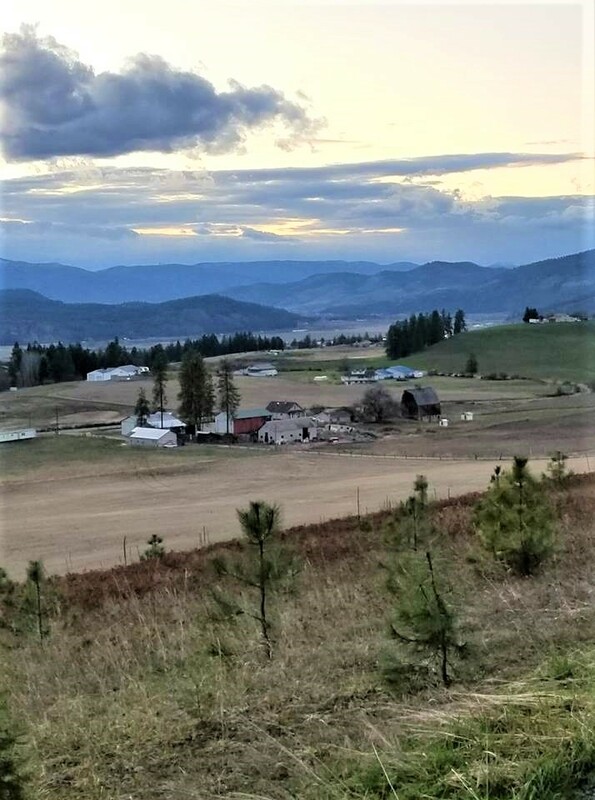 Spring in Colville | The Happy Wonderer ~ ellen b. Posted on April 12, 2019 by Ellen •	This entry was posted in Spring and tagged Colville. Bookmark the permalink. …I never tire of the view from your drive. Such pretty country… Here, we get to burn as long as there’s a lick of snow on the ground. Hope that you can get your burn pile to go. Sometimes I have had success with some old vegetable oil, less smelly and obnoxious than other fire starters. If you have any birch bark lying around, it has natural oils that help a fire along. Is your little grandson arriving on some set, known schedule? That would be nice. Not so many unknowns. Praying for a safe delivery. Much joy ahead! Vee, Jamie is scheduled to be induced so we assume Baby Boy Bayles will arrive sometime on Tuesday. Thank you for your prayers. Also thanks for the burn tips! I never get tired of that view from your sons house! Just beautiful! You have quite a week coming up, Palm Sunday, new baby… how exciting! Spring is happening here too. I have started some seeds in the green house and saving some to put them right in the ground when it is warmer. Don’t get too tired with all that yard work… you have some wonderful busy days ahead! Happy for all of you and sending happy thoughts for Tuesday.